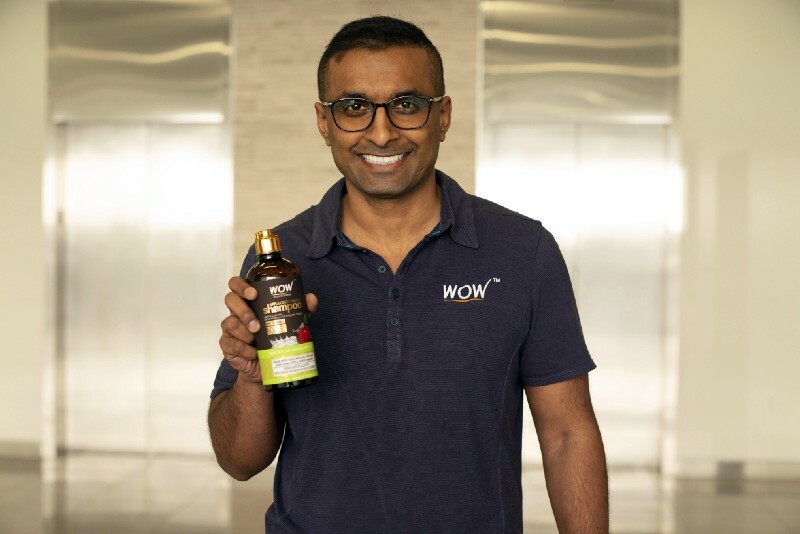 I had the pleasure of interviewing hair expert and co-founder of the #1 Shampoo on Amazon, Ashwin Sokke of Wow Skin Science. Ash is the pioneer behind bringing green beauty to India, through his background as an expert in formulation and hair health. He is a leader bringing e-commerce beauty to the global realm, and is now replicating the success in the US and UK with this power brand. I had been in the Online Marketing space as an affiliate for a few years dabbling in Google Adwords , Google Adsense , Facebook Ads , Myspace etc. Eventually, I was introduced to a few affiliate programs in USA which let me market some of their products in the health and beauty space. After achieving successes relatively early on, I decided to start my own brand with my partners — Manish, Karan, and Arvind In India since e-commerce as a whole was taking off in India. When we first started selling our products online in India, the market was just waking up to e-commerce, and the art of convincing a new customer to trust a new brand like ours was challenging. 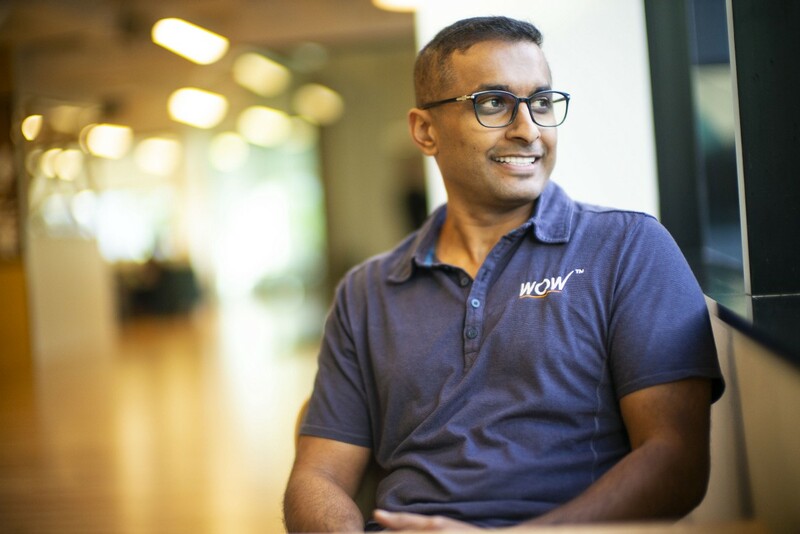 The logistical challenges of running a business such as WOW in India were also significant, but as the market’s acclimation to e-commerce grew, so did logistical efficiency. Sorting through a lot of these issues allowed us to grow our product portfolio and become one of the first companies in India in the industry to focus on customer experience rather than ROI, which lead us to become one of the overall fastest growing beauty and skincare brands in the country. I got my continuous drive to push through hard times from the unrelenting passion and enthusiasm that my business partners exude. We all truly believed if we kept our energies laser focused on our vision of bringing quality products to our customers, we will succeed in the end…it has seemingly worked thus far, and we only plan to keep going. Our brand’s “Customer First” strategy worked, and it truly is to the credit of our customers that WOW grew through word of mouth reviews. Figuring out the art of marketing our products online through Facebook/Google in both India and the USA at a reasonable Cost of Acquisition also contributed to our upturn. In addition, we really hustled and began working with tons of quality micro-influencers, helping us spread brand awareness to a completely new market. We are thrilled to be one of the fastest growing online brands in India and the USA. WOW has been dominating several categories such as haircare, skincare, and supplements on various marketplaces such as Amazon, Flipkart, Nykaa etc. We continue to invest a lot in R&D to make sure we are providing our customers with the best quality products and have opened additional warehousing facilities to ensure fast product deliveries to our customers and vendors in various parts of the country. Forgetting you ‘Go Big or Go Home’ in the US! When we brought WOW’s ACV Shampoo & Conditioner to the states, we wanted to stay as true to the original product as possible, including packaging and bottle size. In India, from formula to boxing, our product just worked. In the US, while customers loved the quality of our shampoo and conditioner, we noticed the main critique was that our standard bottle size just wasn’t quite large enough, so what else do you do but GO BIGGER…and our 500ml bottles were born! Regardless of how incredible your product is and how many accolades you may receive from one region, when you are a global brand it is important to pay attention to cultural and societal differences, and customize your line for each market you belong to. Keeping your finger on the pulse of what different people are accustomed to, what they want, and how to exceed their expectations is crucial to creating the ultimate customer experience we strive to always achieve. Above all other unique qualities, WOW Skin Science is proud to have a customer-first approach. I use the term “customers” loosely, as we consider each and every person who uses our products to be our ambassador and a part of the WOW team. Being invested in what your ambassadors are saying, delivering what they want, and giving an exemplary experience is the key to customers advocating for your brand, spreading the word, becoming repeat purchasers, and assuring them their voices are valued. The inspiration behind our leading products, WOW’s ACV Shampoo and Conditioner, came as a result of listening to what our customers wanted. We launched an ACV beverage on AMZ and we noticed an influx of requests to formulate it into a shampoo, since, (unbeknownst to us at the time) many people use ACV as a hair wash. From the voices of our customers, WOW’s ACV Shampoo and subsequently our entire hair & skincare line was created! Mold yourself into an expert of the space through experience and previous successes, but stay on the cusp of what is up-and-coming as well. In the beauty industry, trends and “buzz” ingredients/products are ever-changing, so it is paramount to be conscious of the direction in which the industry is evolving, and how you can make your products evolve with it. With the excitement that comes with the dynamic nature of the beauty industry, “burn out” is usually more of a result of spreading yourself too thin, rather than exhausting your passion for the business. This is where your team is going to become your lifeline. Along with personal time management, it’s essential to build a team you can trust, one which exemplifies the core values of your brand and delegate tasks and projects accordingly. As cliche as it may seem, I credit much of my success and entrepreneurial growth to my mother. Growing up, the core values she instilled in me were to always be passionate along your life’s path, to focus on only that which you could control, and as long as you work hard, results will follow. Personally and professionally, these have become the foundation for all of the endeavors I embark upon. Upon completion of university in India, students take part in “campus interviews”, essentially where big companies scout and hire graduates. Though a standard practice, my mother encouraged me to forgo this process, not partake in any interviews, and remain on my own path. For her to believe so much in my business potential and entrepreneurial spirit to suggest I turn down employment opportunities from major companies, it just further fueled dreams and goals of success with my own brand. In India, in order to be considered for employment, your collegiate degree and the university which you attended plays a vital role. I believe an emphasis on educational accreditation, rather than one’s passion, hunger, and willingness to learn is a flawed approach. Giving opportunities to young professionals whom typically would be disregarded because of their educational background is something I pride myself on. Leveling the playing field and allowing inclusivity for a variety of employees with diverse backgrounds not only gives opportunities to those whom otherwise may not be given a chance, but it opens doors to finding incredibly talented team members. 1) Do NOT be afraid to fail. I have learned and grown exponentially more from failures than successes. Use your missteps as building blocks to prepare yourself for future challenges you will inevitably face on your journey. We failed to plan for a huge surge in purchases during the holiday season in India and dreadfully, we ran out of stock within the first few hours. While selling out may be a “good problem to have” this was our HOLIDAY sale aka the biggest, most important one of the year. Needless to say, we left a lot of our potential customers unhappy. From this critical error we learned, and the following year we built up inventory levels in all warehouses well in advance. You must remember, surrounding you is a support system of teammates and partners whom all share a common vision of success for your company. With that said, nobody is perfect and sometimes you have to let your team make mistakes. As their coach, continue to guide them, remain patient, and let them learn on their own…just like we all did during our early years. One of the earliest examples of this was our partner, Manish, taking on the challenge of leading product development and sourcing. Initial months proved to be a bit difficult, but eventually he figured it out and now he’s fully responsible for all product development. Allowing him to work through the speedbumps now allows all our other partners to take product development OFF our task lists and focus on our core job functions. Alleviating the rest of us of such a huge responsibility and knowing we can trust it will be handled well brings out the best in everyone in the company. 3 ) Hire people smarter than you, your company will only grow bigger and better in the long run. If you try to do a lot of things on your own, all you will do is spread yourself thin. Growing your team by adding people who are smarter than you will make the decision to entrust your company in the hands of others worthwhile. We have hired the best people in Social Media Marketing and the ideas they come up with are so fresh and out of the box, it definitely helps us stay few steps ahead of the competition and stand out in an overly-saturated market. 4 ) Don’t be shy, afraid, or too proud to ask for help from your friends in the industry or your mentors. Having a good team of Industry experts in your circle of friends or having a great mentor can do a world of difference. In one of our latest launches in USA, we had a rare issue of extremely high cost of acquisition, despite the product’s reasonable price points. We tried a couple of different strategies to bring cost of acquisition down but failed to adequately do so. I realized I wasn’t quite seeing the answer to this problem, so I reached out to a close friend of mine, Dave from Sarasota, who gave me a fresh view on a different kind of marketing angle we should take. Essentially, he suggested a great way to emphasize the benefits of our product to our consumer. With this, he even helped me build a proper landing page and within a week of launch, we hit our target CPA and haven’t looked back since. 5 ) Listen to your customers and focus on their experience with your products over your profits. 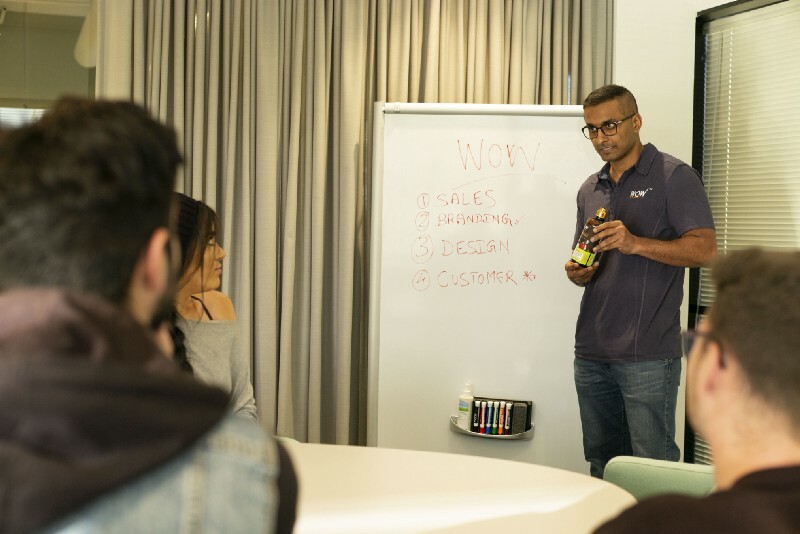 The inspiration behind our leading products, WOW’s Apple Cider Vinegar Shampoo and Conditioner, came as a result of listening to what our customers wanted. We launched an Apple Cider Vinegar beverage on Amazon and we noticed an influx of requests to formulate it into a shampoo, since, (unbeknownst to us at the time) many people use ACV as a hair wash. From the voices of our customers, WOW’s ACV Shampoo and subsequently our entire hair & skincare line was created! As simple as it seems, a movement that would quite literally change the world and the course in which it is going, would be to make clean drinking water accessible to all human beings. While such a basic necessity, we in the developed world tend to ignore the fact that over half the world’s population does not have theses resources. If there was a way to supply 100% of the world’s population with clean, easily accessible drinking water, I truly believe all types of health and societal issues that should no longer exist would be eliminated.